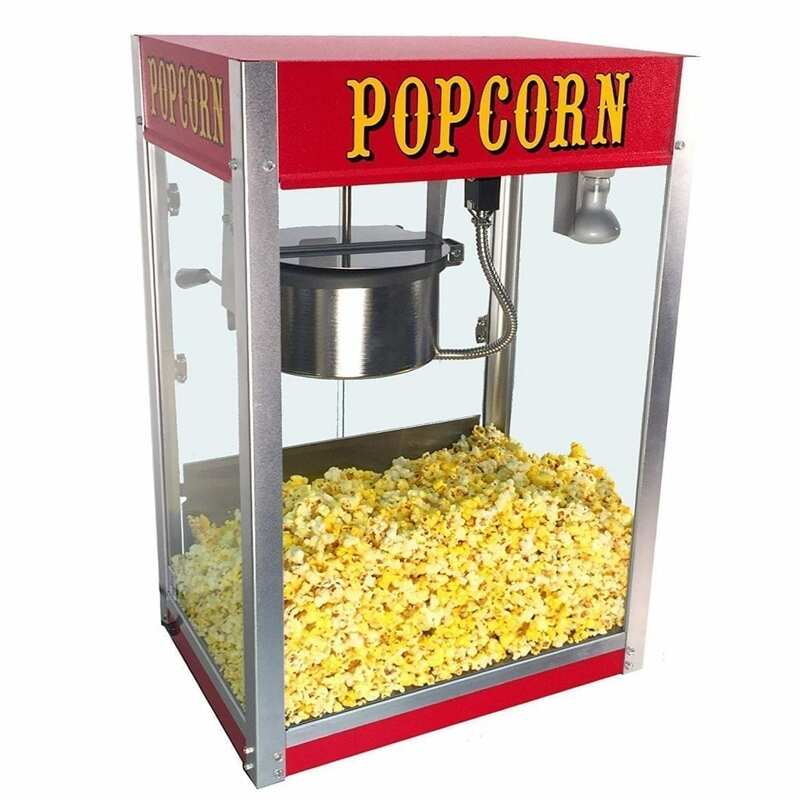 8 Oz Popcorn Cart serves up amazing smelling and tasting popcorn. Everyone loves the smell of popcorn, it’s the right food to get your guests excited about your event! This unit can serve up to 140 servings per hour seamlessly. Whether your doing an outdoor movie theater, gala, festival, wedding, or a backyard party the look of this machine is sure to please. If delivered the rental comes with a decorative stand and popcorn machine, you can add the umbrella to complete the look. If you want to create a fun movie theater or Red Carpet Event please see our Movie Theater Rental Package ideas. **Remember to add your Popcorn Supplies or Caramel Popcorn to your cart so we can quote your full order. Also we rent single pump warmers for melted butter, an added treat!